At the heart of Cut Rite is its powerful optimization engine, which has been developed and fine-tuned over the past 30 years. The name says it all: Cut Rite transforms panel cutting into a more efficient process that saves time, reduces scrap, and saves you lots of money. 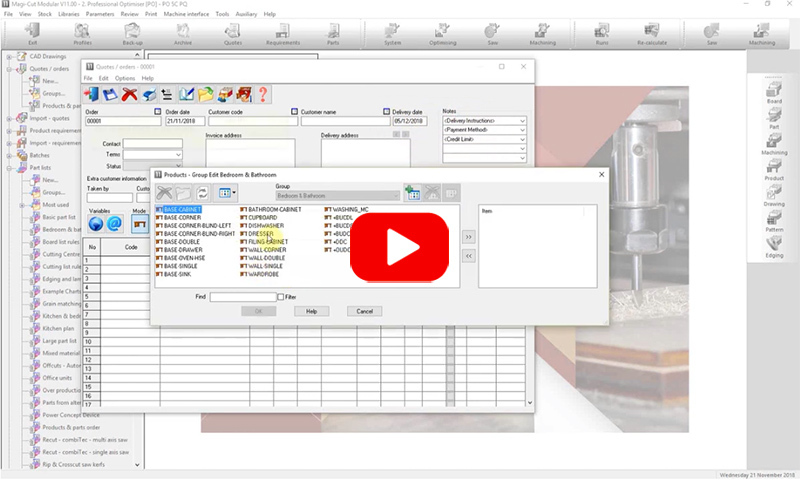 Cut Rite is supported by software modules for every part of your manufacturing operation and is compatible with a vast array of machines, including table saws, CNC beam saws, routers and machining centers. 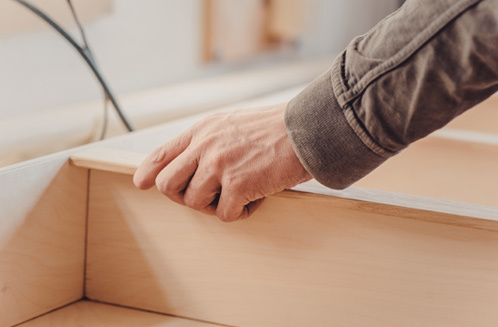 Cut Rite is ideal for: architectural millwork, store fixtures, kitchen and bathrooms, closets, cabinet and entry doors, office furniture, plastic fabrications and much more! Wherever there is a CNC router or CNC panel saw, there is a need for Cut Rite. Just fill out this simple form, and we’ll email you the Cut Rite brochure. 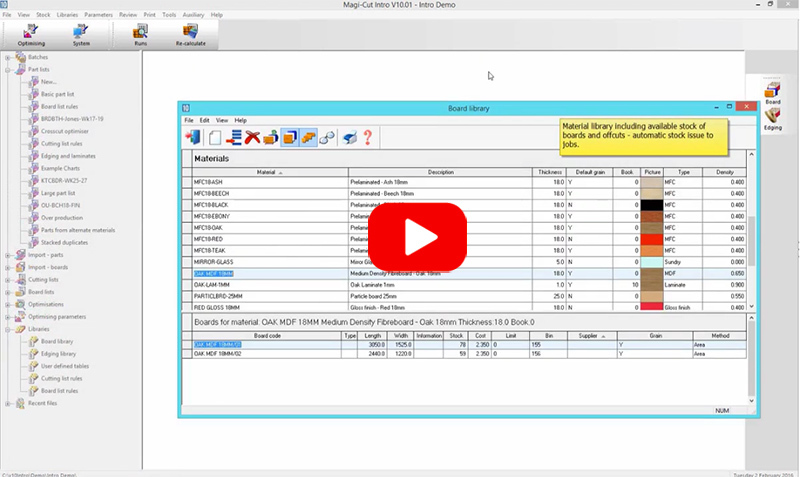 You decide what is important and configure the output options according to your needs: from the simple allocation of information and standard summaries to configuration of your own reports and fully automatic calculation of additional data. Cut Rite can also prepare all the data for label printing. You can then print the labels in the office (included as standard in Cut Rite) or directly at the machine. Cut Rite is designed to be user-friendly, and has an outstanding reputation for ease of use. It features a modern interface, countless input aids and options for automating important processes. Clearly structured and easy to use – that’s Cut Rite’s formula for your success. 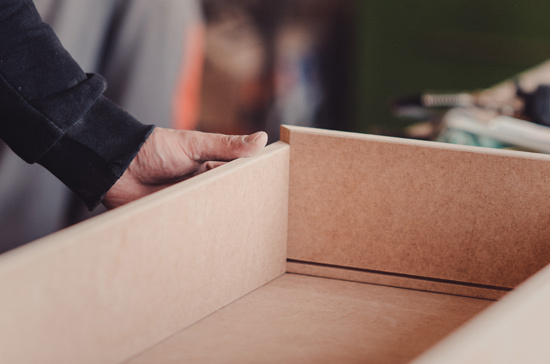 All the features that are important for your daily work are already included in Cut Rite. The modular design allows you to add other options as and when you need them. Adding more options is possible at any time, as is increasing the number of licenses. The package is rounded off by the possibility of automating many functions, which reduces manual operation to a minimum. You set the standards for your cutting process, not the software! 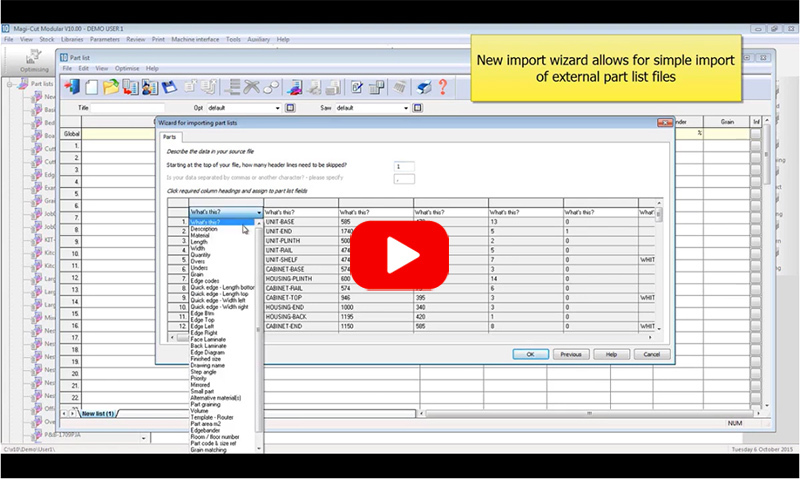 Detailed parameter settings allow you to align the optimization results to your specific manufacturing process. 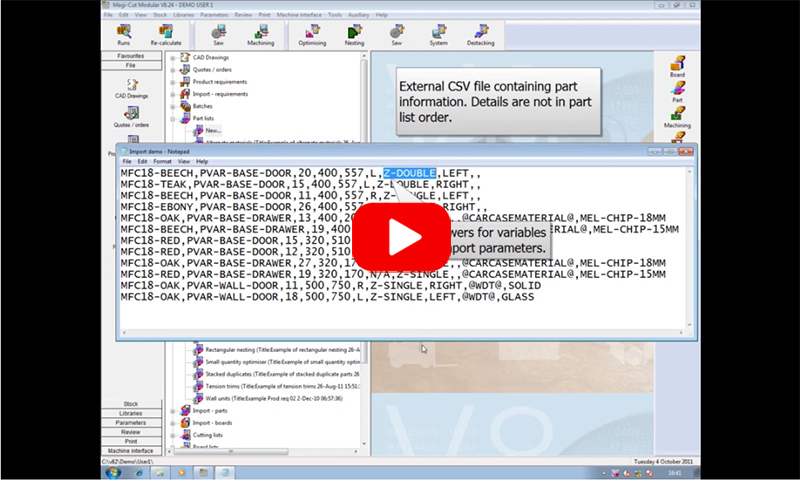 All configuration options are graphically visualized and so easy to find and use. An intelligent, user-friendly Help system also provides support. Three Base levels, Express, Pro & Nesting with 7 supplementary modules for tailor made solutions. 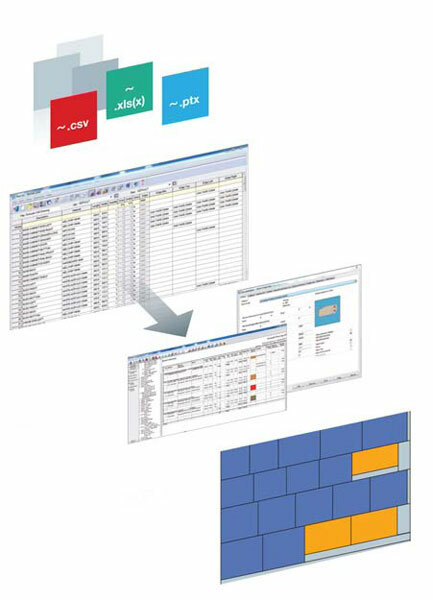 Define rules for data handling and for automatic generation of data specifically to suit your manufacturing process. Geometry can then be calculated instantly and automatically. Cut Rite’s mathematical strategy deploys optimum use of the processor’s capacity. 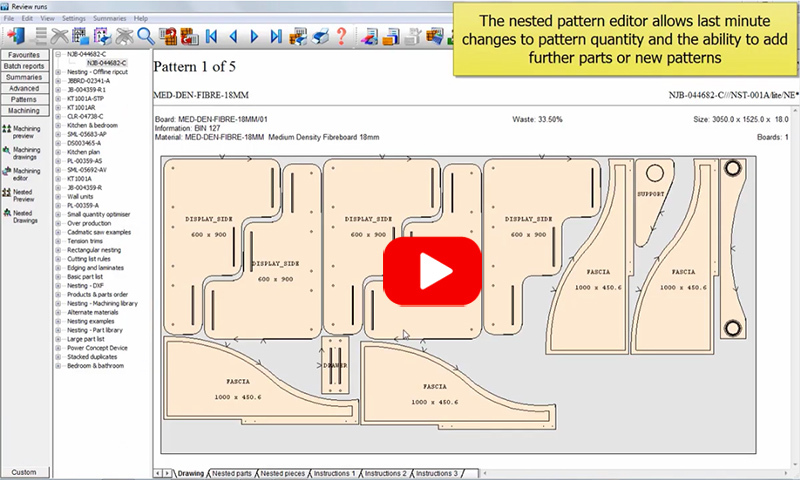 With Cut Rite, you simply grab the mouse and enter the changes directly in the cutting pattern. 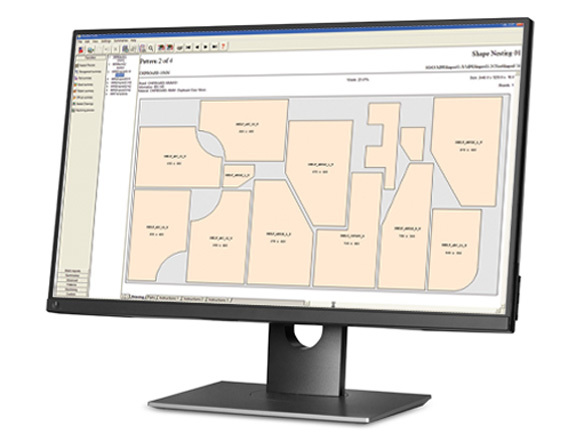 Cut Rite immediately indicates the material costs and calculates the machining time. 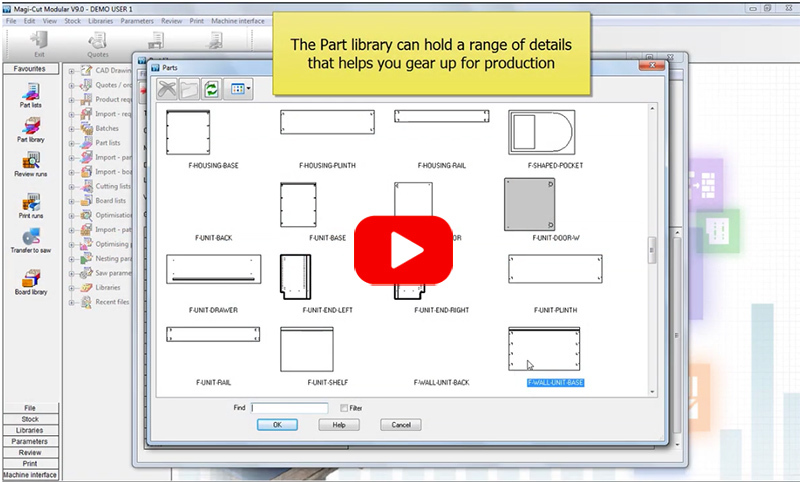 Set up data for all panel materials, enter panel usage and easily connect to horizontal storage systems.